 Home Backup Power Solutions | Florida Power Solutions Inc.
There’s still one month of Hurricane Season. And winter is on its way. Having backup power at your home is the peace of mind, and feeling safe, secure, and powered up most importantly, in the case of any type of power outage. Don’t be left out in the dark or the cold in the coming winter months following a hurricane or winter storm because you didn’t purchase an electrical generator again this year. Installing a home generator will be the best power solution you can make as a homeowner. If you’re going to get a home generator, you should do a little research on your own home’s back up power needs. For example, do you need the generator to run your entire home? Or would your needs be better served if the generator ran only the necessities like your well pump, your air-conditioning system, your refrigerator and your hot water heater? Answering these two questions will help you determine which size generator would suit you best for your needs. Now, the other thing you can research prior to your new generator purchase is which brand of generator is the best for you? There are two very popular high quality generators that are at the top of the list: Kohler and Generac. At Florida Power Solutions, the most frequently sold residential generators are Kohler Generators. But Generac also makes a great product. It’s almost personal preference, but if you had to lean one way for home backup power solutions, Kohler wins at the wire by a nose. So to summarize, you should not wait another season to purchase a home backup generator. Buy one now, before it’s too late. And the two best home backup generators on the market are Kohler generators and Generac. Don’t get left out in the dark …. Or cold! Contact FPS today or go to our website!